This stunning blanket, with contributions from so many, has been made to be auctioned for Candlelighters in memory of the wonderful Joseph who devastatingly died last summer from neuroblastoma. Candlelighters is an amazing charity supporting families facing children’s cancer in Yorkshire, including Joseph and his family. They get involved in all sorts of different projects to help ordinary families who are facing extraordinary circumstances. We’d like to do something to help them now and through this auction are hoping to raise a good sum. Bidding will start at midday on March 14th and finished at 9pm on Sunday 18th March. We will confirm with our winning bidder and explain ways to pay. You will then have three days to pay or we shall have to go to the next in line! 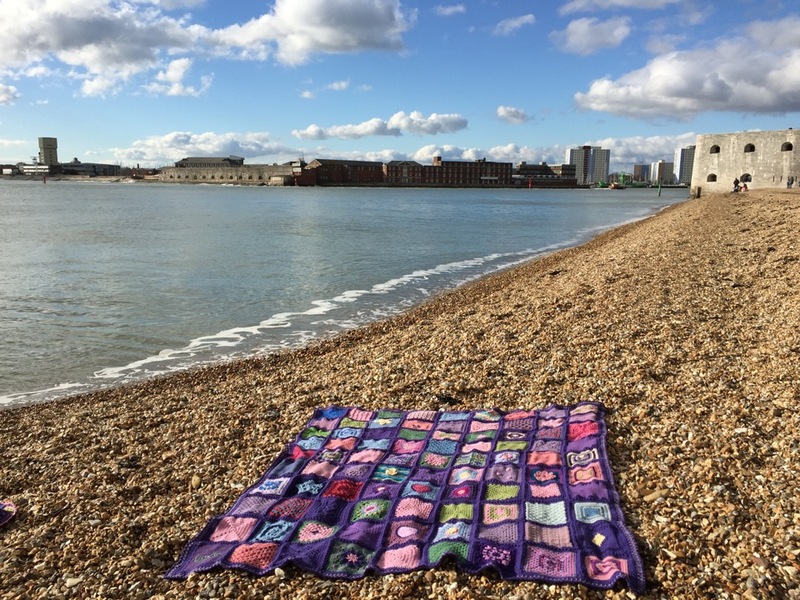 This stunning blanket, with contributions from so many, has been made to be auctioned for Candlelighter's in memory of the wonderful Joseph who devastatingly died last summer from neuroblastoma. Candlelighter's is an amazing charity supporting families facing children's cancer in Yorkshire, including Joseph and his family. They get involved in all sorts of different projects to help ordinary families who are facing extraordinary circumstances. We'd like to do something to help them now and through this auction are hoping to raise a good sum. description : Beautiful handmade merino wool blanket. Shipping: Woolly Hugs will pay the P&P within the UK, please contact us for further afield.